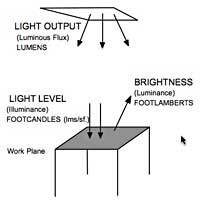 Vertical illuminance is a component of lighting design that is vitally important to architecture. Its primary purpose is to make spatial proportions and spatial limits visible. The opposite is the conventional horizontal illuminance, which is frequently the result of a purely functional, utilitarian and quantitative approach to design. In this latter case, the spatial experience is often secondary to the immediate visual task. Vertical illuminance, however, can help complement the functional lighting design as well as become a starting point for architecturally orientated lighting concepts. Illuminated walls give the observer a bright and open spatial impression. The fascination of wallwashing arises not only from the perception of brightness but also from the clear spatial presentation, which organises the architecture thereby making the surroundings more comprehensible. From the point of view of perception psychology and aesthetics, wallwasher lighting is an important concept for constructing spaces with light. 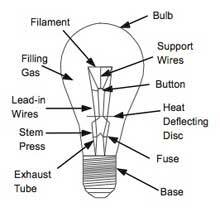 It is for this reason that it belongs to the essential repertoire of qualitative lighting design. 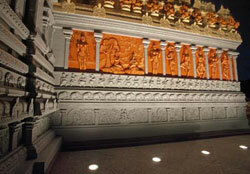 The functional advantages of wall illuminance are especially apparent when it comes to museum lighting. Appropriate illumination puts the artwork in the right light. Three different approaches to vertical illuminance give the lighting designer considerable artistic freedom for a differentiated approach to the lighting of walls. Of particular interest from the architectonic point of view is the practice of uniform wallwashing. An even light distribution from the ceiling to the floor emphasises the surface of the whole wall as a single unit. This approach achieves a bright spatial impression and brings the wall to the fore in its function as a delineating surface. A second approach is to use grazing light up against the wall, the brightness distribution decreases across the wall. This type of lighting in particular brings out the material nature and texture of the wall surfaces. 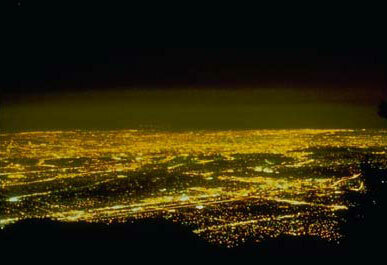 Point-source luminaires generate brilliant lighting effects. Conversely, linear sources produce a soft and diffuse effect. The third method of illuminating walls is from point sources. The regular sequence of beam intersections or “scallops” forms a pattern and lends the wall surface a rhythm of brightness contrasts. Special lighting tools are available for each of the different wallwashing techniques. Uniform wallwashing places the highest demands on the lighting technology. Various designs of wallwasher are available for this area of architecture. Through uniform wallwashing a clear spatial presentation occurs, which makes the architecture more legible and creates a bright spatial impression. Wallwashing aids orientation in entrance areas: visitors understand the structure of a room faster and assimilate important information quicker. Particular details on walls such as inscriptions become even more noticeable. It is not only the architectural design task that falls to vertical lighting in the indoor area but also that of a contribution towards perception. The classic visual tasks include recognising the environment and reading information on walls. The latter ranges from text information for orientation, paintings in galleries and museums through to merchandise in the world of shopping. Uniform wallwashing holds great artistic potential: the wall itself can only be emphasised with its spatial and material quality or used as a neutral background for wallmounted objects. The practice of reflecting light off walls produces a diffuse component of light in the room and this can be used as ambient lighting. In particular, the areas of exhibitions and retail, whose pictures or merchandise are changed frequently, require a flexible lighting concept for walls. Uniform wallwashing offers a technique for the illumination of objects which does not require the luminaires to be constantly re-aimed to cater for rotating exhibits. It can also provide excellent presentation lighting. In the retail area, uniform wallwashing ensures that displays above the shelves are adequately illuminated. Special wallwashers are suitable for largeformat, full-height, advertising information because they bring the advertisement‚Äôs entire surface to bear evenly and, by using high illuminance levels, are excellent for attracting attention. Wall lighting in the daytime reduces the contrast of bright facades and room walls. 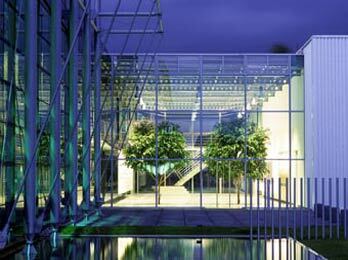 At night, the even lighting of wall areas ensures a bright spatial impression is maintained. Luminaires installed directly against the wall do not achieve uniform brightness from top to bottom. The linear grazing light of fluorescent lamps produces a diffuse light on the wall and creates a clear definition at the edge of the room where the wall meets the ceiling. 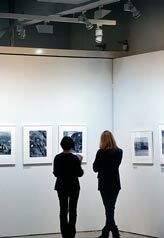 Regardless of whether it is large-format advertising surfaces or walls with artworks in museums that are to be illuminated – uniform, vertical illuminance is an effective concept to illuminate walls and objects. Although the use of horizontal workplace lighting is widespread in the office and administrative area, wallwashing can make a valuable contribution to the user’s wellbeing in this area. Because the luminance influences the impression of brightness in the viewer’s field of vision, the lighting of walls takes on an important role especially in small offices. This not only concerns having sufficient illuminance for visual tasks in places such as shelves or cabinets, but also the lighting of walls and graphic art, which makes the workplace environment appear more attractive. 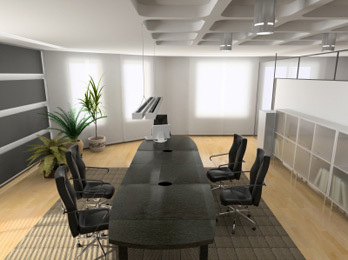 In addition, wall lighting also has a positive effect on luminance contrasts in the room: a higher background luminance reduces the contrast of both computer screens and luminaires. People’s faces are also given an even and balanced modelling due to the higher component of diffuse light in the room. In conference rooms and in large classrooms and auditoriums, sufficient vertical illuminance is particularly important for vertical presentation surfaces, enabling information to be read at a distance. Nocturnal facade lighting presents cities, local authority districts and private clients with a multitude of design possibilities for lighting both individual buildings as well as groups of buildings in the context of public squares, courtyards or main roads. The spectrum ranges from simple lighting intended primarily to provide orientation and safety, through to presentational lighting solutions and scenic illumination for special occasions. For buildings that are visible from afar, such as skyscrapers or towers, vertical lighting has the important task of highlighting nocturnal landmarks. Where buildings around the edge of public squares are concerned, facade lighting helps to ensure that these buildings are recognisable after dark and promotes better spatial understanding. 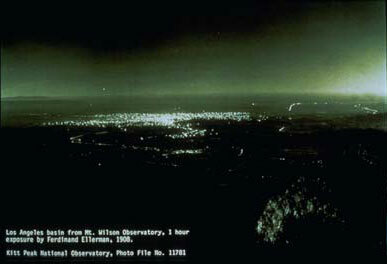 In the interest of a “Dark Sky”, the lighting designer can effectively avoid what is known as light pollution (i.e. light which is emitted directly into the night sky) by using highquality lighting technology and by arranging the luminaries appropriately. Many monuments and historical buildings tell their story in bas-reliefs, ornamentation or sculptural decoration. It is only with light and shadow that the three-dimensional nature and texture of the surfaces can be appreciated. Architectural details such as the constituency of materials, joints or facade patterns are also amongst those important features which, when discernable, will characterise the appearance of a building or structure at night. The contrast on the surface can be influenced by the direction of the light and the type of luminaire. Moving a floodlight further away from the facade gives the surface a uniform but flat appearance because the formation of shadows is reduced. 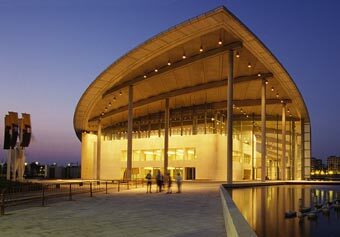 Conversely, luminaires positioned right next to the facade will produce extreme shadow, creating a dramatic impression. A mid-way position, as is the norm for wallwashers, gives a balanced appearance with an even light distribution on the surface, while still allowing the three-dimensional nature of any details to be easy to recognise. Correction filters alter the colour impression for certain ranges of colour only. Thus, for instance, the warmer tone of the Skintone filter can emphasise the colour of beige sandstone. When using coloured light, a nocturnal perception and atmosphere is created which is distinct and independent from the daytime appearance. Certain moods and contrasts can be created with coloured light, and these can be used for instance to delineate large facade surfaces or to distinguish different parts of a building from each other. The texture of basreliefs on facades and of other material features can be enhanced by the shadow effect of wallwashing. 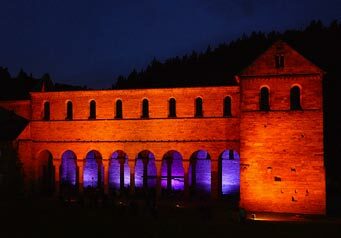 The wall lighting in the indoor area is continued outside: the grazing lighting on the wall and the illuminated wall of trees both add to the emotive ambience on the terrace. Vertical illuminance internally not only alters the atmosphere within a building but can also characterise the view of the building from the outside at night. When the indoor lighting is switched on with the onset of dusk, the reflection of the surroundings on transparent facades disappears. The facade gains spatial depth: the supporting structure appears as a contour and the people, furnishings and materials inside become more apparent. It is important for entrance areas and foyers to have a striking night-time appearance which is effective even when seen from a distance. This not only improves orientation but the wall lighting also guides the visitors to the building and conveys a prestigious and open spatial impression. An illuminance level higher than the surroundings or light of a different colour can emphasise such entrance areas when viewed from inside the building and make them stand out when viewing the facade. Shop window lighting in particular utilises the advantages of vertical illuminance in several ways, including that of using a bright background to attract the attention of the consumers within the cityscape. A different perspective is brought to bear when looking from the inside out. In the daylight, high contrasts occur in rooms between the high luminances in the window area and the opposite facing walls. In deep rooms that have low ceilings, this can give rise to a dark impression. In this case, lighting the walls will help to create a balance between the light and dark areas. Although, as a supplement to the daylight, it might not do much to aid vision at the workplace, it does considerably improve the way the room is perceived. 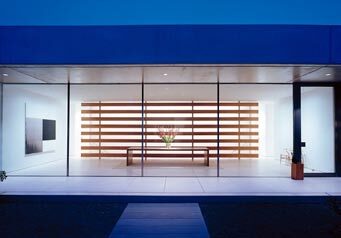 At night, windows appear as dark surfaces from the inside and the perspective seems to end where the indoor area ends. The task of extending spatial perception beyond the window falls to the outdoor lighting, and is achieved by illuminating architectural features in the outdoor area. The role of an illuminated outdoor wall in creating a single, holistic spatial composition combining indoor and outdoor areas can also be performed by illuminating vegetation. Reducing the lighting level internally will improve the view of the outdoor world, because there will be less reflections on the window surface. The internal wallwashing is visible from outside. Combined with transparent facades, the flowing transition from outside to inside gives great spatial depth. To give a holistic appearance to the spatial concept, the uniform wallwashing inside the building is continued externally. Whatever the time of day, vertical lighting will ensure the wall remains the dominant feature of the internal space. In architectural lighting, different light colours ranging from warm white and neutral white through to daylight white are used to differentiate spatial areas or to produce a different lighting atmosphere by day and by night. Styling with coloured light has a more intensive effect than white light. The bandwidth of colours ranges from pastel-shades through to strong primary and secondary colours. Coloured lighting can be used to give rooms and spaces dramatic scenic light and make them more eye-catching. White walls provide a neutral background capable of transmitting every nuanced hue of the light colour. The impression of a coloured wall can be further strengthened using coloured light of the same colour, lending the room or area an impressive colour intensity. One way of creating coloured light is to use colour filters mounted on the luminaires. Much more flexible in terms of scenographic light, however, are light sources that can dynamically change their colour. The principle behind this is the additive colour mixing of separately controllable light sources in the colours red, green and blue (RGB technology), e.g. 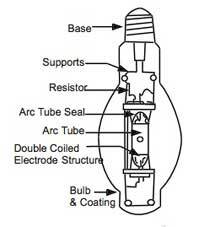 using coloured fluorescent lamps or LEDs. A lighting control system that controls the dimmer settings of the individual colour light sources and, in so doing, makes specific colours of light reproducible and integrates them in useful lighting scenes and sequences is indispensable for the effective use of Varychrome luminaires or other installations with RGB technology. The colour contrast of cold and warm hues gives a festival in the ruins a most attractive setting. Many luminaires allow the light colour to be changed using colour filters. The intensity of coloured surfaces can be significantly increased with coloured light of the same hue and can produce an impressive atmosphere. The possibilities of styling rooms with light are almost unlimited. One of the most fascinating properties of light is its ability to continually reinterpret architecture. Staging and controlling such metamorphoses with the inclusion of the time dimension is what we refer to as ‚“scenographic light“. By using innovative lighting tools for internal and external environments and systems for intelligently linking the luminaires, light can be formed into a coherent scenography in terms of its interaction with space, time and atmosphere. 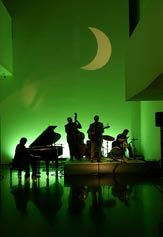 Scenographic light enormously increases the ability to experience quality in architecture, it magically attracts attention (as a concept for shop window lighting for instance) and it interprets the themes and concepts of exhibitions and events.